Gourmet hot-dog stands are the new fancy burger joints. 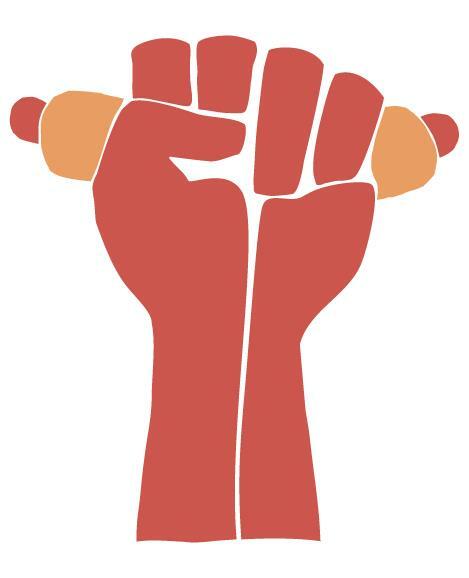 That's the only explanation why there are two new eateries in Center City Philadelphia dedicated to the frankfurter. Underdogs (132 S. 17th St., 215-665-8080) serves Dietz & Watson hot dogs on Toté Bakery's gluten-free buns; the fries and a variety of dipping sauces are safe as well. At the Bellevue Food Court, Maui's Dog House (200 S. Broad St., 215-735-1533) has gluten-free franks and burgers (sans buns) and fries. Still on the subject of hot dogs, you'll be able to get them at Bright House Field, the Phillies' Spring Training home in Clearwater, Florida. The wieners will be sold at the hot dog stand behind third base and look for other options at the home plate stand. At Philadelphia Chutney Company (1628 Sansom St., 215-564-6446; 1932 Liacouras Walk), all of the Indian dosas and uttapas (made with rice batter), fillings and chutneys are gluten free, along with the steamed rice lentil cake appetizer and the Indian stew. At Lawrenceville's Varsity Pizza & Subs (1296 Lawrenceville Rd., 609-882-4100), the gluten-free pizza is made with separate ingredients, cooked on a dedicated pan and cut with a dedicated knife. Casa Bella Trattoria in Haddonfield (51 E. Kings Hwy., 856-429-2885) has gluten-free pasta. New in Mt. Laurel is Miller's Ale House (554 Fellowship Rd., 856-722-5690), which has a gluten-free menu mainly comprised of steaks, seafood and salads. In Tuesday's post I featured local bakery Pure Sweets, which makes unique gluten-free, organic and vegan sweets sold in area markets. 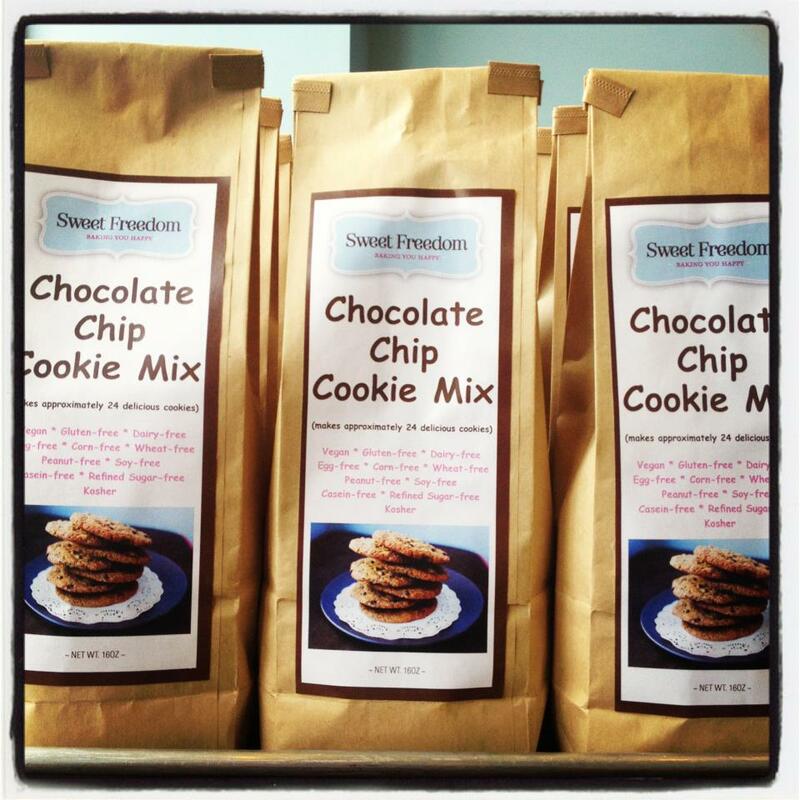 You can now bake Sweet Freedom Bakery's chocolate chip cookies at home. 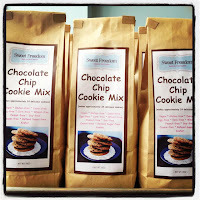 Packaged mixes are available for purchase at the bakery (1424 South St., 215-545-1899). In addition, Sweet Freedom's goodies are now sold at The Sweet Spot Cafe in Northern Liberties (1040 N. 2d St., 267-639-9588). Look for The Grain Exchange's baked goods at Whole Foods in Wynnewood and the new Jules Thin Crust Pizza, opening this month in Wayne. 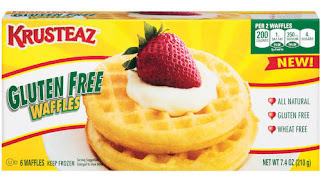 Well-known baking mix brand Krusteaz has added gluten-free frozen waffles to its product lineup. A two-waffle serving is 200 calories and 7 grams of fat (1 gram of saturated fat). Tomorrow at noon I'll be at the gluten-free cooking demo at the Marlton ShopRite (307 W. Route 70, 856-983-7370), where you can sample foods from Italian Gluten Free Foods and O'Doughs; the event runs from 10 a.m. to 3 p.m. It's a great chance to double dip, as you can also pick up gluten-free Passover foods like cake and cookie mixes, loaf cakes, cookies, and matzoh. I hope to see you there. I just stopped by Underdogs, so I thought I'd share a bit more information. They keep their gluten-free buns separate from the regular ones, in closed paper bags. All of their hot dogs and sausages are gluten-free. Most of their sauces are gluten-free, with the exception of the malt vinegar aioli and one other, which I forget. Finally, they cook their fries in a separate, dedicated fryer, and they're not coated in any flour.